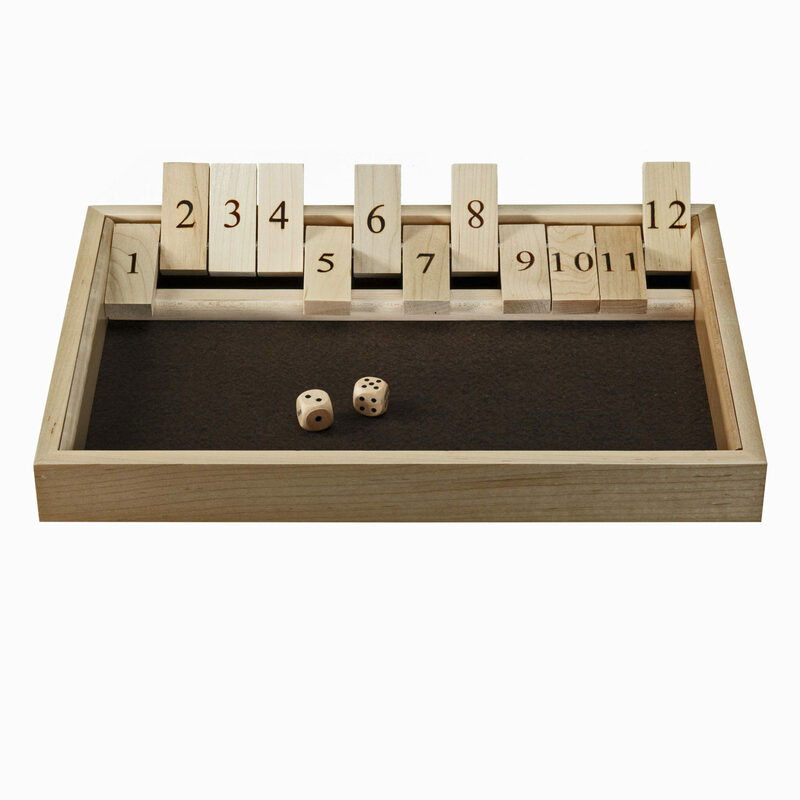 This gorgeous Shut the Box game is finely crafted in the USA of solid maple wood with great attention paid to quality and durability. 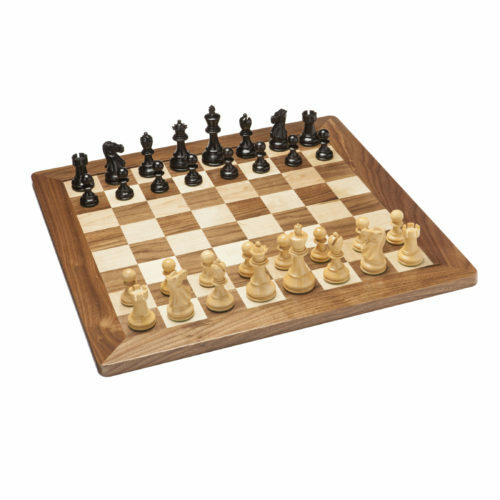 Made from American hardwood lumber that is certified eco friendly by the Sustainable Forestry Initiative (SFI). 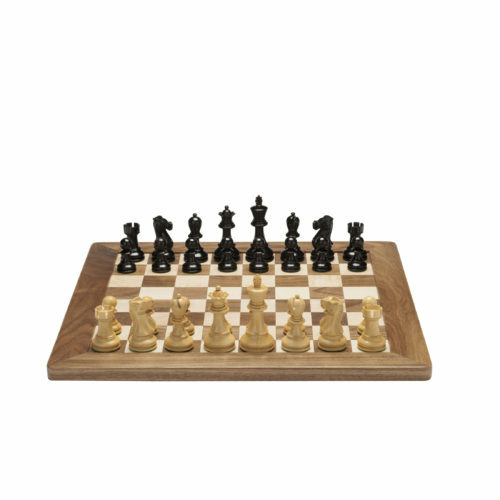 A light finish is applied over the natural wood for an ultra smooth surface and billiard felt lines the playing surface for softer dice rolls. 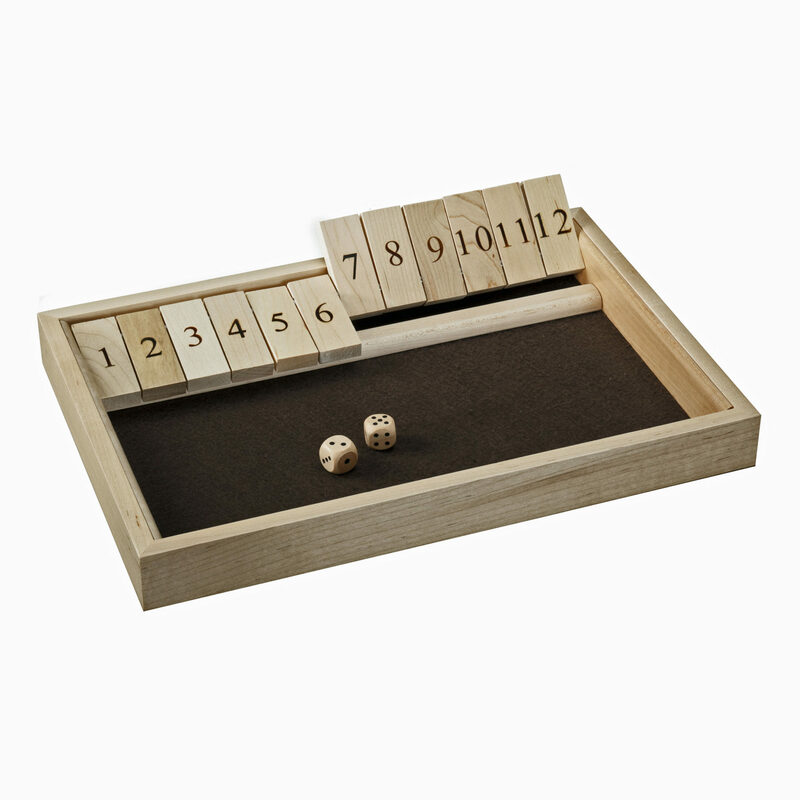 Shut the Box is a traditional game of counting, addition, and probability that dates back to the 18th century when it was enjoyed by Norman fishermen after a long day at sea. 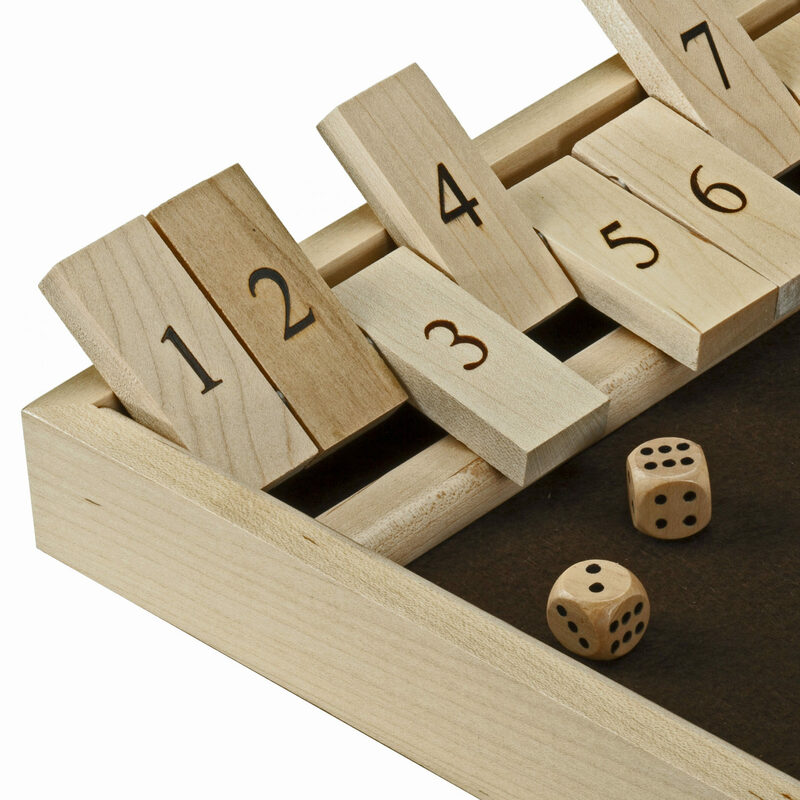 Today it is a betting game played in pubs all over Europe and is utilized in classrooms throughout the USA for teaching addition and probability. 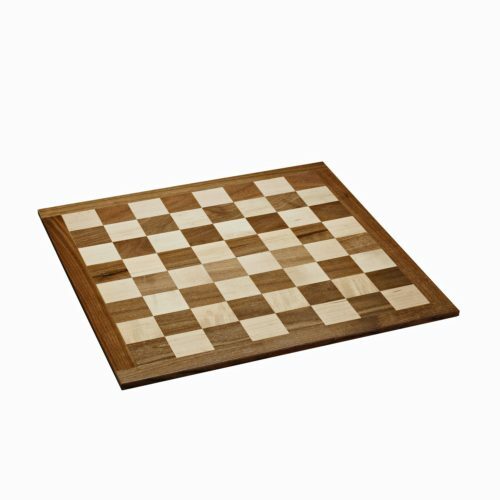 Can be played with any number of players. 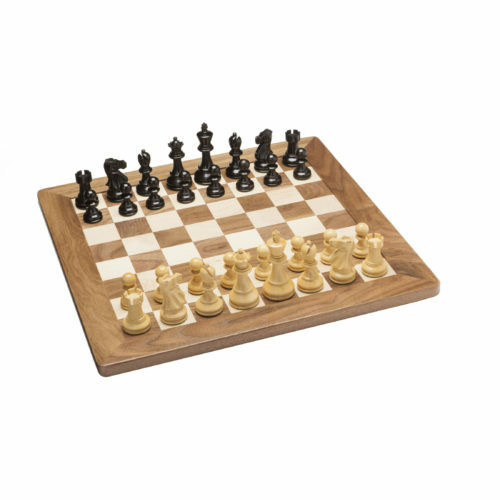 Includes a brief history of the game and instructions. 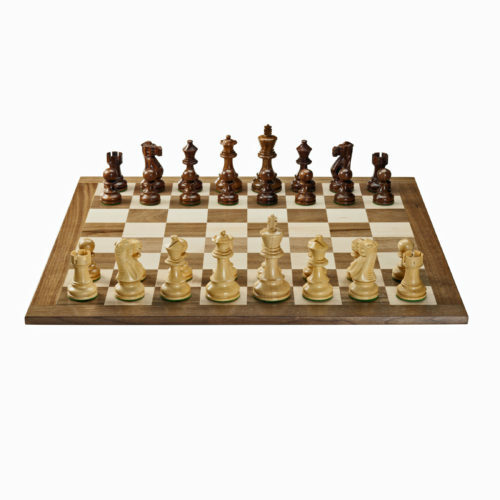 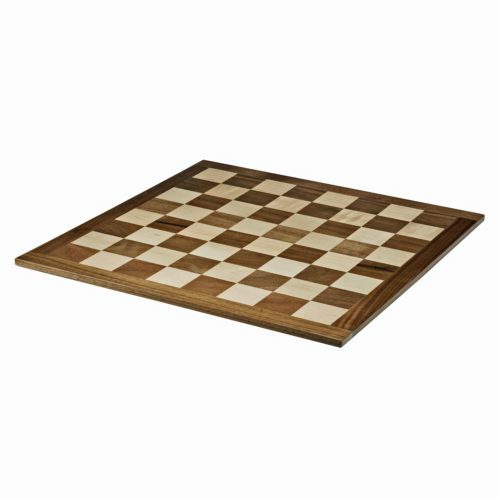 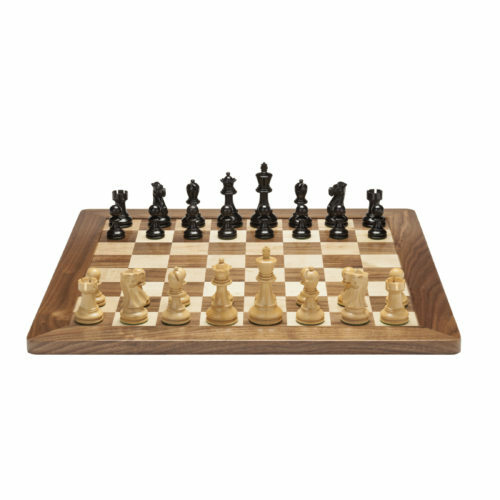 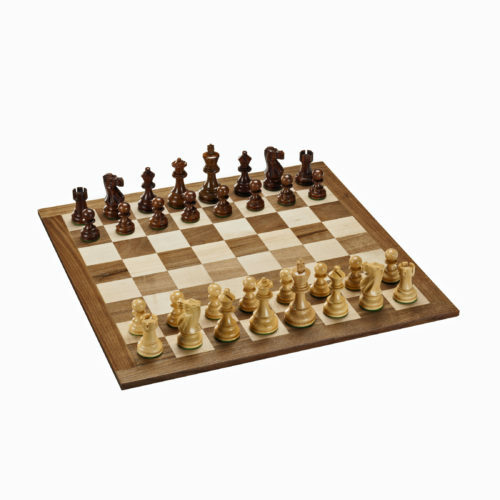 Deluxe Jacques Chess Set – Weighted Pieces with Solid Walnut & Maple Board 18 in.